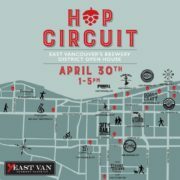 Walk, skate, or bike over to East Van’s Brewing District for our second annual HOP CIRCUIT – the day when we throw open our back doors to welcome one and all for free behind-the-scene tours, and the chance to taste some really fresh craft beer and spirits. 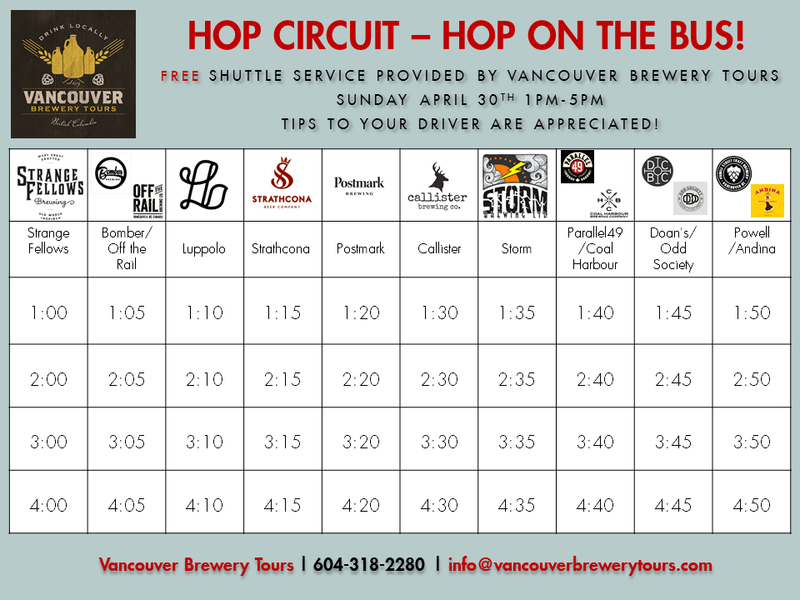 Take a self-guided tour or hop on the shuttle service provided by Vancouver Brewery Tours. We’ll be offering a FREE hop on-hop off shuttle service. See the schedule below for pick up times and routing. The breweries participating include: Postmark, Strathcona, Luppolo, Strange Fellows, Off the Rail, Bomber, Callister, Powell, Andina, Doans, Odd Society Spirits, Storm, Parallel 49, and Coal Harbour. Maintain your strength with grub from the many food trucks scattered around the neighbourhood. Ever wanted to wear your housecoat in public? 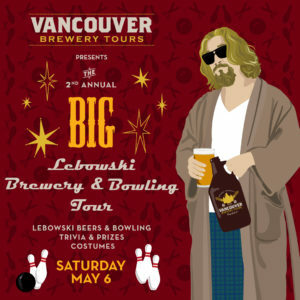 Thanks to Vancouver Brewery Tours, fans of the cult classic movie The Big Lebowski will get their chance at the 2nd annual Big Lebowski Brewery and Bowling Tour. Tour includes Lebowski-inspired craft beers, or “oat sodas” at each brewery stop. Beginning at Callister Brewing, an all new trivia contest will be held in the brewery that will separate the little Lebowskis from the big Lebowskis. Next on down the line is Storm Brewing for the judging of the costume contest and more Lebowski inspired ales. The tour will end at Grandview Lanes Bowling Centre, where participants better hope their toes don’t go “over the line” in their bid to strike it big as the day’s bowling champ. 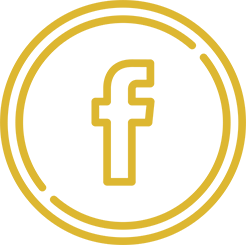 Prizes will be awarded throughout the day, with the winner of the trivia contest taking home the coveted custom made Big Lebowski growler designed by our friends at Sigil and Growler – while the winners of the costume contest take home other great prizes. 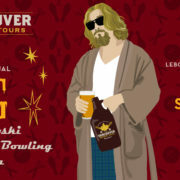 As with all of Vancouver Brewery Tours’ public and private tours, its Big Lebowski Brewery and Bowling Tour includes pick-up and drop-off from Waterfront Station in downtown Vancouver, as well as transportation to and from each of the breweries in its comfortable 14-passenger van. During the ride, guests will enjoy a selection of songs culled from The Big Lebowski soundtrack – everything except The Eagles, of course.